With the new Défi collection, S.T.Dupont dares breaking the mold of writing instruments with a design inspired by aeronautics: the sharp shape is evocative of a fighter jet’s powerful lines and reflects advanced performance. Défi is S.T.Dupont’s most contemporary range of writing instruments challenging traditional concepts of pen design. The Défi pen’s fuselage is constructed according to a unique and original design, combining a frame in high-precision injected metal and a composite fiber body. Like a fighter jet, Défi is responsive, precise and high-performing. The perfectly-integrated streamlined pen cap gives the Défi pen its specific aerodynamic shape. The articulated clip placed on the pen’s body allows it to be slipped into any pocket, easy to carry everywhere. Its specially developed and patented ink gel for an ultra-smooth ballpoint and the streamlined metal nib of the fountain pen, ensure a laser sharp and extreme speed of writing. 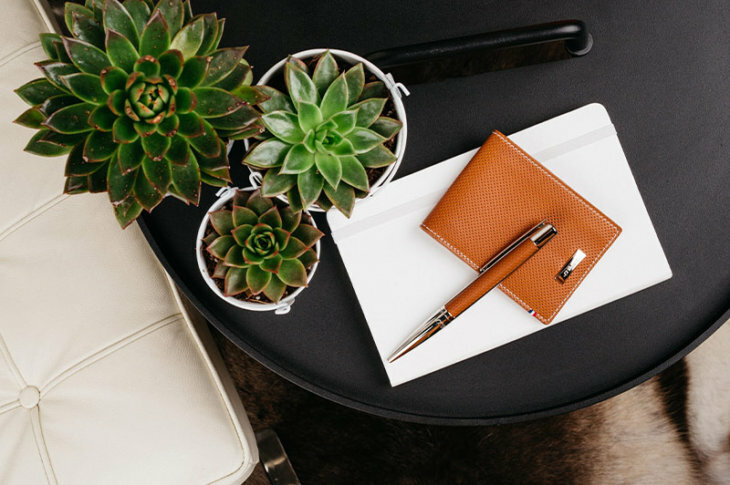 The Défi pen has a perfect weight and grip thanks to its compact size that renders the Défi pen fiercely contemporary and definitely masculine.